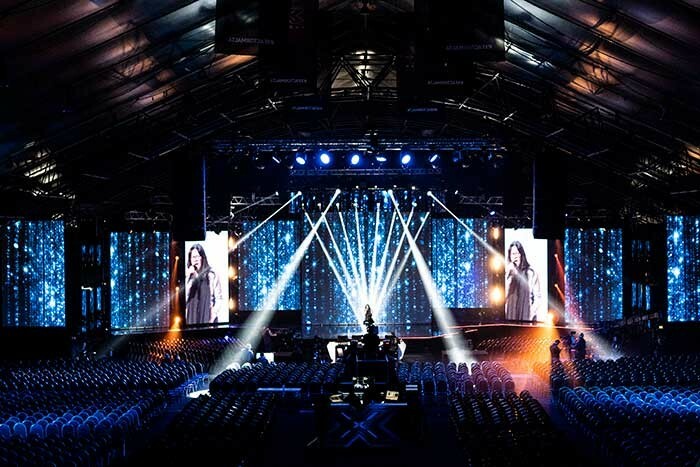 Malta – Global singing contest phenomenon The X Factor landed on Malta for its first-ever season at the end of 2018, culminating in a live final to find the country’s Eurovision 2019 entrant. 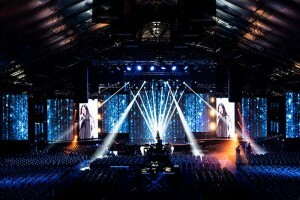 The high-production values TV series proved to be a big hit on the island, with the ultimate show broadcast live in January from the Malta Fairs and Conventions Centre. Lighting designer for the series was Ismael Portelli, with Duminku Attard and Juan Vella taking care of the programming. 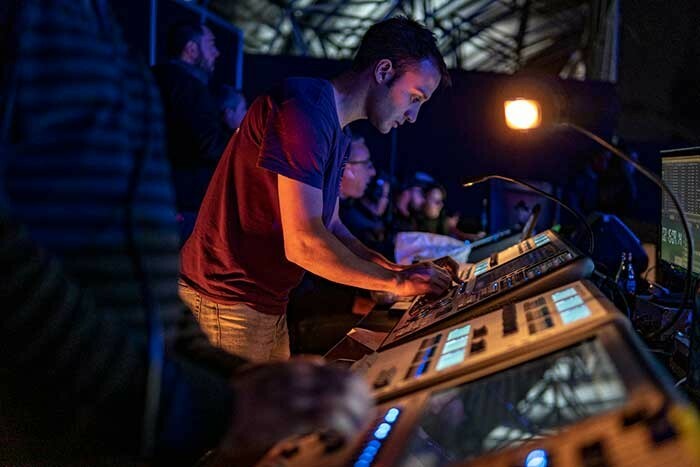 Anton Borg Olivier (pictured) joined the team for the finals, using an Avolites Arena as his master console to give the last rounds of the contest an ‘extra kick’. Programming was divided between Olivier, Attard and Vella. In addition to the Arena, the team utilised an Avolites Tiger Touch II with Wing for white light and a second Arena as backup. Another Tiger Touch II ran the pyros and other effects on a separate network. “Some programming was done off site, since we had very tight schedules, and then the shows where merged together on the main desk,” Olivier continues. “All the songs cues were triggered using SMPTE timecode, which ensured that all the lighting, vision and effects were triggered correctly and on time. 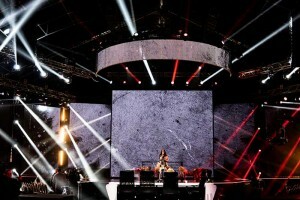 White light for TV was controlled on the fly, using pre-programmed cues, depending on the positions that the singers took and to the needs of the TV cameras. 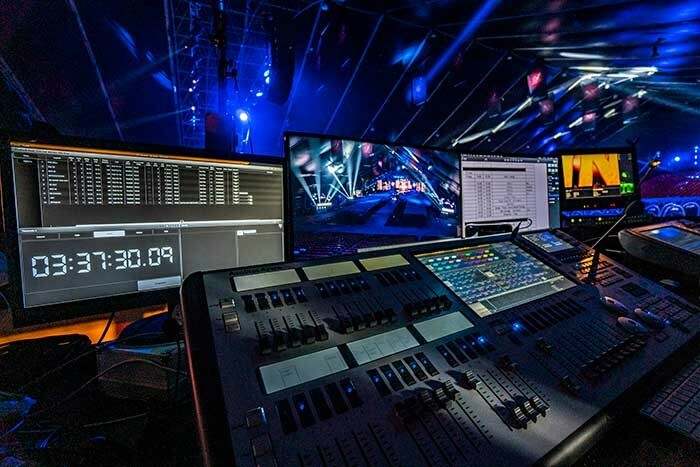 Nexos Lighting & Vision provided all desks and control equipment, including the rig, which consisted of DTS EVO, Claypaky Mythos 2, Claypaky Super Sharpy, Claypaky Aleda K20, Claypaky Sharpy, Showtech Sunstrips, Prolights Diamond 19, Prolight Luma 1500 SH and an assortment of blinders.